Niseko is beautiful all year round but we especially love it in the Winter time when Niseko’s famous powder snow blankets everything in white. If you’ve ever wondered about where Niseko’s best views then we’ve come up with a slide show of some of our favourites. This is by no means comprehensive but it should be enough to whet your appetite for the real thing we think. Relax in front of the fire with a glass of fine red wine whilst gazing out at this view of Mt Yotei in all its splendour. Alpen Ridge underwent a renewal in 2016 with new furniture, interiors and appointments. All rooms have Smart TVs with Netflix. There’s an on-site café as well as the Niseko Base Snowsports School and Rental shop. The lift is just out the door for ski in/out access or you can watch the kids having their lessons from your room while you relax and unwind. Who wouldn’t want to wake up to this amazing view of Mt Yotei every morning! The floor-to-ceiling windows look like just like a painting. Aya Niseko was completed in 2016 with 79 brand new premium apartments, hotel-style 24hr reception, on-site restaurants and ski rental. Lift access to the main Grand Hirafu ski zone is just outside the door as well as the main beginner’s slope. Imagine sitting down to breakfast with unfettered 180 degree views over Mt Yotei. 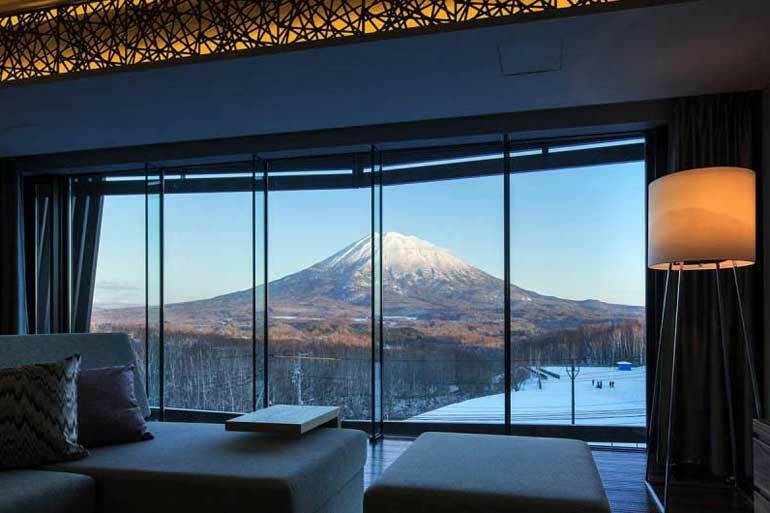 Aspect Niseko’s premium apartments opened fresh for the 2016 season. Located in the middle village they’re within easy access to restaurants and bars whilst being separated from the hubbub. The on-site concierge team is ready to assist with every aspect of your luxury stay. All you have to do is open your eyes to behold Mt Yotei from the luxury of your bed when you stay at Hirafu 188. 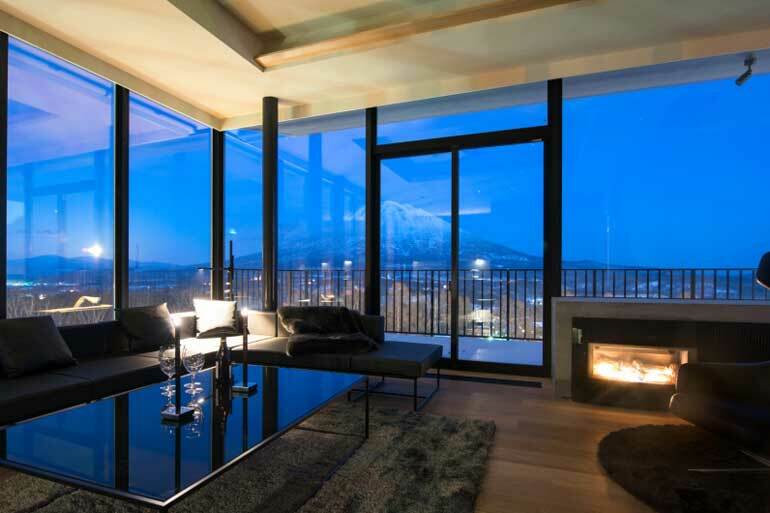 Superbly appointed luxury apartments in the heart of Niseko. On-site café and convenience store. Guests have full use of a private shuttle service to and from their lift of choice all within 2 minutes’ drive. A candle lit dinner with your SO after an exciting day on the slopes with an unobstructed view of Mt Yotei in her evening glory. MUSE Niseko’s finely appointed contemporary apartments are located in the centre of Hirafu village with easy access to restaurants, bars and shops. Downstairs there’s an on-site café located in the North Face Gravity store.